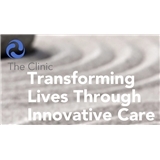 The Clinic (San Francisco) - Book Appointment Online! We are a team of healthcare professionals dedicated to providing innovative treatments and personalized care. We offer psychotherapy and medication management for optimizing well-being. Our team specializes in cutting edge, evidence based treatments. We have providers who have expertise treating sleep disorders, depression, anxiety, ADHD, Bipolar Disorder and other common and complex conditions. We are a dedicated team of providers who work closely and collaboratively to provide the best care possible to our patients.